Simply put, this couple was quite entertaining to photograph. Being that they had already helped us create one of our favorite engagement shoots, their wedding was one we were looking forward to. Their ceremony was held in a new location, The Chapel at Grants Mill, with a very beautiful, light filled bridal suite. Their extremely fun reception that followed was held at Avondale Brewery. So what makes Aspen and Cody's wedding unique? I think it was the fact that Jamison and I got to see how we weren't just this couples wedding photographers. They worked to form a relationship with us with only a few times of being together, and a majority of that time we were taking photos of them. That alone speaks of the great character of these two. To me, that made their wedding special. We also saw how they interacted with their whole wedding party and guest in this same way. 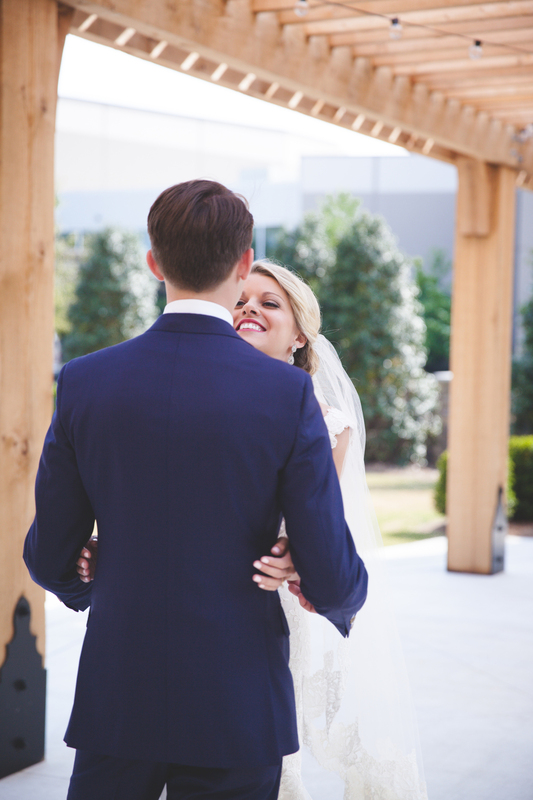 So enjoy looking through some of our favorites from Mr. and Mrs. Perry's wedding Day! And there you have a beautiful wedding dress, a beautiful couple, and a beautiful wedding day.